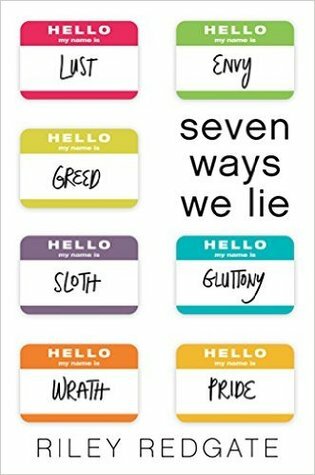 In Seven Ways We Lie, a chance encounter tangles the lives of seven high school students, each resisting the allure of one of the seven deadly sins, and each telling their story from their seven distinct points of view. The juniors at Paloma High School all have their secrets, whether it’s the thespian who hides her trust issues onstage, the closeted pansexual who only cares about his drug-dealing profits, or the neurotic genius who’s planted the seed of a school scandal. But it’s Juniper Kipling who has the furthest to fall. No one would argue that Juniper—obedient daughter, salutatorian, natural beauty, and loyal friend—is anything but perfect. Everyone knows she’s a saint, not a sinner; but when love is involved, who is Juniper to resist temptation? When she begins to crave more and more of the one person she can’t have, her charmed life starts to unravel. Then rumors of a student–teacher affair hit the fan. After Juniper accidentally exposes her secret at a party, her fate falls into the hands of the other six sinners, bringing them into one another’s orbits. All seven are guilty of something. Together, they could save one another from their temptations—or be ruined by them. 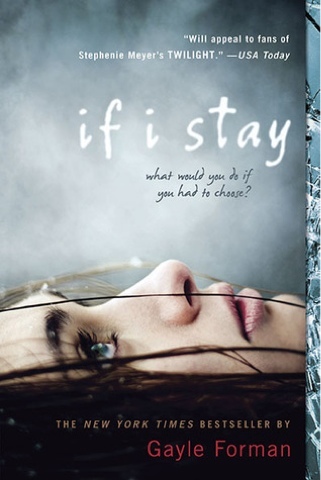 Riley Redgate’s twisty YA debut effortlessly weaves humor, heartbreak, and redemption into a drama that fans of Jenny Han and Stephanie Perkins will adore. Review: This book was slow to get going for me but once it got going, I absolutely could not put it down! This was one of those books that I read the first little bit one day then picked it up the next day and read the rest in one sitting. 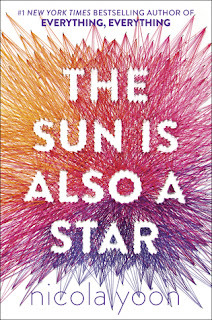 This is part coming of age and part mystery but the storyline and characters are both very strong and that it why it ended up being such compelling read. I do occasionally find teenage characters have a tendency to be a little on the whiny side, but this was totally not the case in this book. Each of the characters had their own storyline, their own depth and their own issues to deal with, just like a group of teenagers like this would have in real life. We get to deal with issues of depression and suicidal thoughts and yet this is not what this book concentrates on. 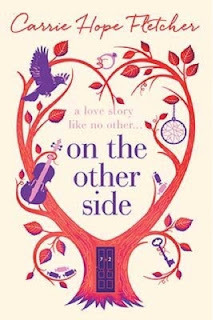 There is a romantic aspect to it and also what it feels like to be the outsider. We also get a glimpse into the hugely complicated aspect of female friendship at this age, its ups and downs. The storyline, as I have already mentioned is strong. We don;t just have this whole notion of the student teacher relationship and how that is going to be exposed or not exposed at the case may be. That aspect is a slight mystery but more of an item of gossip than an actual investigation. There is a little bit of interrogation in this storyline, which I don't think would be allowed in schools in the UK, but some of that was amusing so I went with it. 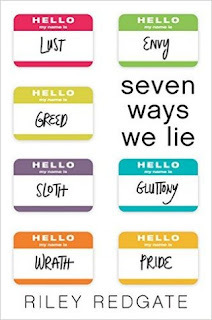 But the overarching storyline is definitely the relationships between these seven students and how they change and develop over the course of the novel. Of course emotions are running high and so nothing goes smoothly, but I really loved getting to know these characters and they way they tick. I think one of the reasons that this book was such a compelling read was because these characters are all so relatable. I could see a little of each of them in myself and I am sure anyone who picks this up will be able to relate to at least one of these young people and be able to see their own high school experience in these pages. I can't wait for more from Riley Redgate, such a good read! To get your copy, just click here! 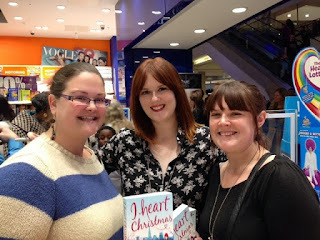 Review: I absolutely loved this book, I have no idea why I waited so long to read it! I listened to this book on audiobook but I also have a physical copy of this so I was able to dip into that as well. I just loved the storyline, the characters and the general feel of this book. I really know nothing about beauty pageants apart from what I have seen on films and so I was hoping this plot of this book wouldn't focus on that too much. Whilst the beauty [pageant is a strong feature of this book because that is what the whole community is gearing up for, it is not the main plot of the book. This book is very much a character driven book, it is all about the fabulous Dumplin' and there are also wonderful undertones of inclusion, body positivity, diversity and acceptance which made it the wonderful, well-rounded read that it is! 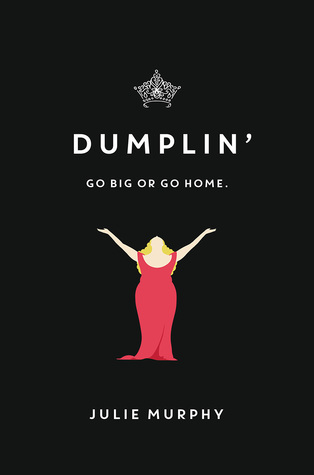 Dumplin' is great as a main character. She is easy to like and get along with and also very easy to relate to an empathise with. She is living in a town that values this beauty pageant and so she is having to deal with the fact that people are so focused on beauty and perfection when she is a girl of more substance. But she is plus-sized and proud. She appears on the surface, not to give a toss about what others think of her, she doesn't want to loose weight and yet when a boy starts showing interest in her, she can't understand why! 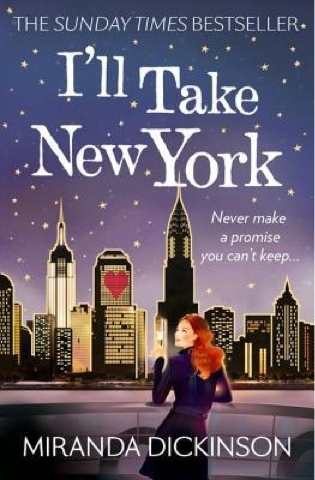 I loved the romance in this book, of Dumplin' trying to cope with her first forays into the world of dating, of course nothing runs smoothly, I felt sympathy for her in certain parts of this particular storyline, but I also laughed at the mishaps that she got herself into-this was incredibly well-rounded. The other aspect I need to cover of course is the diversity of the characters. We have characters who are not body confident despite conforming to what society deems as the norm, we have dumplin' who is plus size, we have people with disability and all of them pulling together with incredible strength to fight against this idea of what a beauty pageant is and the way society and sometimes their friends and families, expect them to behave! I loved this read, I do think there is something for everyone in here. I really recommend listening to the audiobook because the narrator has the accents down to a tea and that really brought it alive for me! To get your copy now, just click here! In a last bid attempt to make Tom reconnect with his daughters she takes drastic action and leaves for Australia. With two fast-maturing daughters Tom has to learn how to accept his responsibilities and navigate the newly discovered world of single fatherhood - starting immediately. Review: Oh it was so great to be back in the world of Mike Gayle's writing again. I don't know why it took me so long to pick up another of his novels, this one has been sitting on my TBR for so long and I just loved every moment of it! Mike Gayle writes a fabulous male lead, of course, and his books are always so character driven, it is hard not to be swept along by them. I listened to this one as an audiobook and the person that narrates the Mike Gayle audiobooks that I have listened to always does a great job. This is basically the story of a father having to cope with the loss of his wife at the same time as having to cope with being a full time dad again. There is also a parallel storyline involving his mother in law Linda and her own journey of self-discovery. I loved the relationship that that two characters have and that they do have such a strong relationship still after their respective wife and daughter leave their lives. Of course there are some really emotional moments in this book, when you are dealing with grief, what do you expect. I loved reading about Tom's relationship with his children though and his struggle to try and live up to his wife's way of doing things sometimes leads to some really funny moments as well! I liked Tom as a c character, he is not without his flaws and so was easy to relate to from the word go. He grows as a person as well as as a father over the course of the novel and this was great to watch. 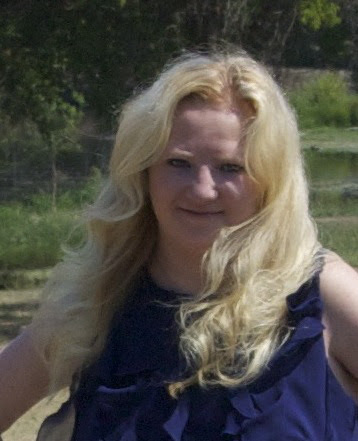 As I mentioned above, Linda also plays a key role in the novel. The way it is structured is that there is a Tom chapter followed by a Linda chapter, and it generally follows that form over the whole novel. She too has a journey of self-discovery and this really opens up the audience of the book. We have lead characters, one male and one who is older, something which Mike Gayle does incredibly well. 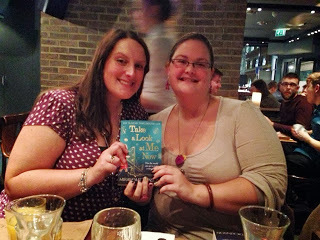 Of course there is a little romance thrown into this book as well as new friendships. I loved reading about these relationships, there were some real aww moments for me, and not just when Tom has a in with his daughters. There is so much to love about this book and if you are new to this author, this would be a great starting place. I think this is definitely something fans of this genre should be adding to their TBRs, but also something for those of you who prefer an older protagonist, or a male lead. A great read! I may have mentioned once or twice before that I love a good author event. I love chatting to authors online and so to be able to chat to them in real life is amazing. 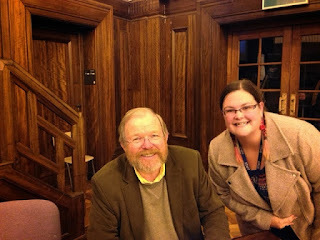 I have a whole page on my blog dedicated to authors I have met and I've loved meeting all of them. But because there are more than ten, please do check out that page here for more info and pics! At twenty-nine, Connie isn’t quite where she thought she’d be. When her beloved gran died Connie returned to Hazelhurst, the village she grew up in, and took over her gran’s old job as caretaker at the village hall. It might not be the stuff of dreams, but Connie loves working at Bluebell Hall – the heart of the community. So when Bluebell Hall is threatened with closure, Connie is determined not to let greedy property developers get their hands on it. She hatches a plan bonkers enough that it just might work. All it takes is a needle and thread, scraps of old material and willing hands. Can Connie convince the people of Hazelhurst that their village hall is worth saving? And will she save herself in the process…? Review: This was my first book by Poppy Dolan. It has a brilliant, bright cover, which is enough to draw any reader to it, promising all sorts of country village-related activities. There are, of course, plenty of bunting pictured too, fitting in with the title of the book. The story revolves around 29-year-old Connie, who is caretaker of the village hall in Hazelhurst, a role she has taken over from her late grandmother, to whom she was very close. Bluebell Hall, as it is called, should be the hub of the village, as these places tend to be, but it is in poor repair and thus not attracting great numbers of people. When the trust that oversees the hall seems to be threatening its closure, Connie starts a campaign to save it that requires getting the whole village behind her. 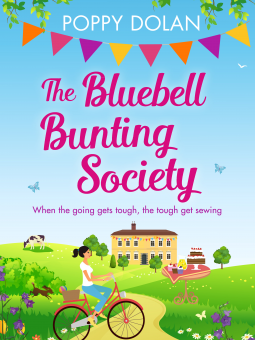 Amongst the activities is the establishment of the Bluebell Bunting Society of the book's title. Interest in a variety of crafts is also sparked by the bunting making activities. I loved Connie's passion and determination to save her hall. It is her life, and she is fazed by the thought of losing it. It is great to see how friends old and new, young and not so young are inspired by her to pull together in their efforts to preserve this building. Truly community spirit at work. I also enjoyed meeting some of the other characters in the village. The girls in Connie's Bluebell troop added a bit of amusement, while there was the promise of possible romance in the guise of Alex, the scout leader. Although largely entertaining, I found this story a bit slow at times and really not one that pulled the reader in and begged to be read. It definitely lives up to its description as a feel-good story, but personally I felt that there was not enough going on at times to really grab and keep my attention. Original stories from Mark Billingham, Clare Mackintosh, James Oswald, Jane Casey, Angela Marsons, Harry Bingham, Antonia Hodgson and CL Taylor - specially written for Quick Reads. 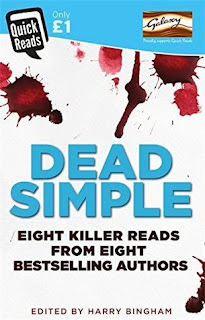 Review: This crime anthology contains 8 stories. I'm not going to cover each one but look at the Quick Reads book as a whole. Last year Quick reads released an anthology of short stories as part of its anniversary and I really enjoyed that particular read so I was pleased to see that they had done it again this year. i was even more excited to see that it was a collection of crime stories because that is a genre i read very little of but when I do pick something up, I tend to enjoy it. 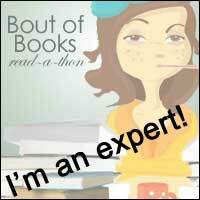 I was excited to discover new authors! Of course I didn't love every single story, but there really is something for everyone here. I definitely preferred reading more of the psychological thriller stories than the police procedural, but there was even one which covered the historical crime genre, not entirely my cup of tea but it was great to have it included. I think my favorites were the stories by Clare Makintosh and James Oswold! I did read this book in one sitting, but this would be great to dip in an out of, a story for each day of a commute, or a story before bed, although with the genre type, perhaps reading before bed wouldn't be the best idea. I think this book is great for people like me who read little to no crime novels and want to get into that genre or discover new authors. I would highly recommend this book and it is definitely something that would appeal to a wide range of audiences! Sophie stopped believing in happy endings a long time ago, but could this love change all of that? Sophie Winter lives in a self-imposed cocoon - she's a single, 31-year-old translator who works from home in her one-bedroom flat. This isn’t really the life she dreamed of, but then Sophiestopped believing in dreams when she was a teenager and tragedy struck her family. So, to be safe, she keeps everyone at arm’s length. Sophie understands she has a problem, but recognising it and knowing how to fix it are two entirely different things. One night a serious fire breaks out in the flat below hers. Sophie is trapped in the burning building until a passer-by, Ben, sees her and rescues her. Suddenly her cocoon is shattered - what will be the consequences of this second life-changing event? 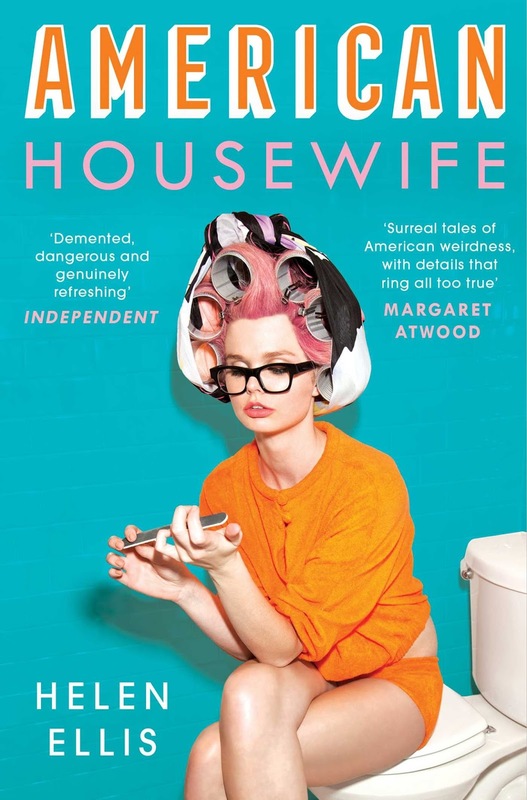 Review: I picked this book up knowing that there was a lot of hype surrounding it but not really knowing an awful lot more about it and I think that was a really good move. Dani Atkins really knows how to write a story that comes of the back of a tragic event but she has really celled herself with this novel. I spent the first third of this novel a little bit terrified as to what was going o happen to either of the main character, the next third loving life and really loving a blossoming relationship and then the last third being terrified that something awful was going to happen and trying to work out what. 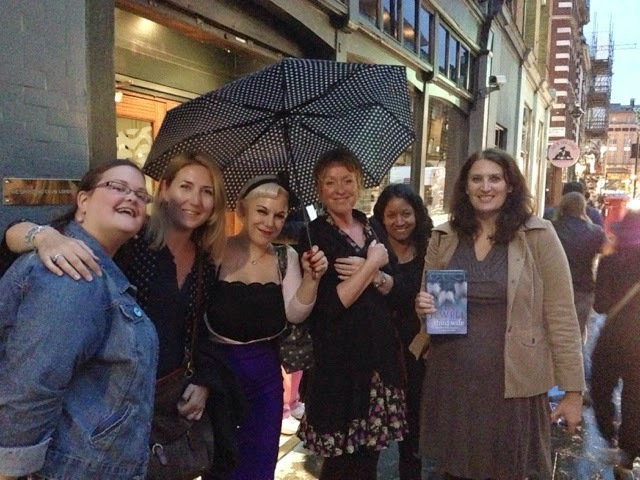 What a literary roller coaster-so much fun! This book starts with a fire and Sophie, our main character, being trapped inside her apartment. As I mentioned above, this is incredibly tense and not something to read if that is a trigger to you bit I was so compelled by the first part of this book that the first 150 pages just flew by. I felt like I got to know Sophie fair quickly because of this major event and I think that this was an excellent way to open the move. We know from the blurb that something else tragic has happened to Sophie and this has effected her. 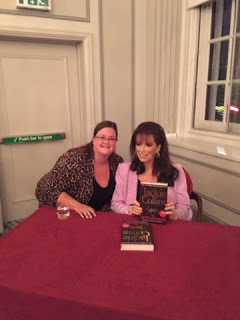 From the beginning of the novel, I felt I could empathise with her as a main character and really rooted for her to get her life together again following the tragic events. Ben comes into Sophie's life right at the beginning and seems to be one of life's rarities, a genuinely nice guy, but we can see right from the word go that there is a little more to him than meets the eye but we're not sure what. 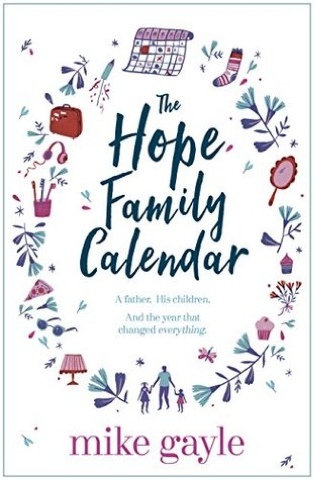 The fun of working out what the mystery was with Ben, coupled with the fact that he helps Sophie to put her life back together again made for the middle of the book to be truly enchanting and just as compelling as the beginning of the book. 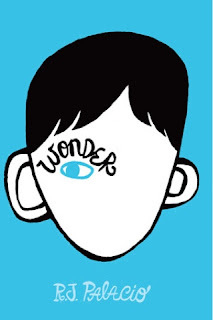 I loved Ben as a character and really hope that some of his wonderful optimism rubbed off on me from reading this. The end of the book is really difficult to talk about without giving away any spoilers. Needless to say it is just as compelling as the previous sections of the novel and will definitely have you on the edge of your set. I reached the final few pages in a public place and had the common sense to leave them until I was back in the privacy of a hotel bedroom because you will definitely need tissues for this one and, should you wish to avoid crying in public, I would advice reading the final few chapters on your own or with an affectionate pet to keep you company. I loved this book so much more that I thought I would. I've read Dani's previous novels and this is definitely her best yet. 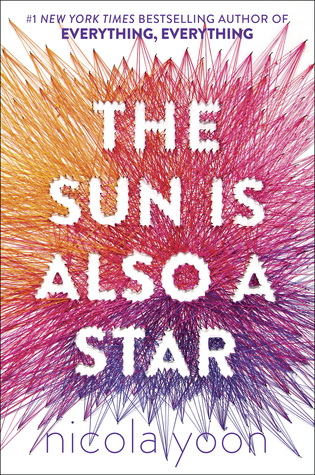 If you are looking for a new book to pick up this week, something to take you away from the really world for just under 500 pages then this is definitely something you should be adding to you list right now. You will gasp, you will cry and you will come away from this read valuing life just a little bit more! To order this new release now, just click here! Look after your daughter's things. 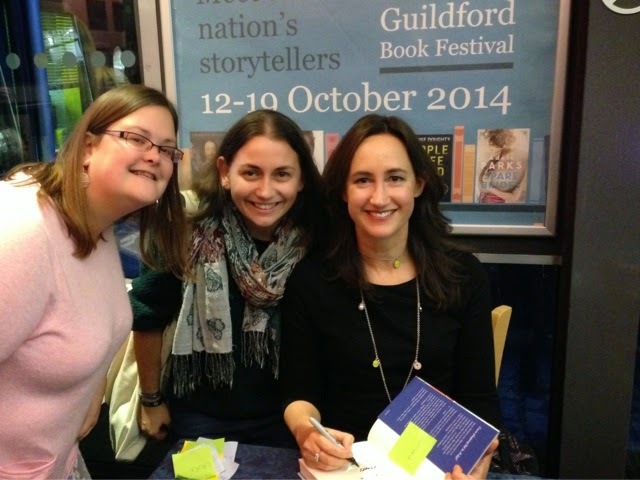 And your daughter…"
When a stranger asks Jo Blackmore for a lift she says yes, then swiftly wishes she hadn't. The stranger knows Jo's name, she knows her husband Max and she's got a glove belonging to Jo's two year old daughter Elise. What begins with a subtle threat swiftly turns into a nightmare as the police, social services and even Jo's own husband turn against her. No one believes that Elise is in danger. But Jo knows there's only one way to keep her child safe – RUN. 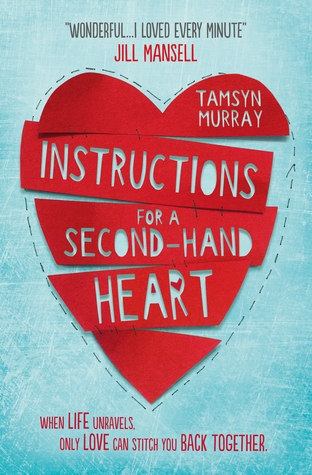 Review: I was unbelievably excited for this new book from CL Taylor and as such wanted to allow myself time to read as much of this as possible in one sitting. I ended up reading all but the first few pages all at once and I am glad that I did. The storyline of a CL Taylor book is so tense and so gripping that I strongly believe all of her novels are best read in one sitting so that you can fully immerse yourself in the action and get the proper reaction to every moment in the book. That being said, I feel sure that this storyline will sick with you so much when you put the put down that you will absolutely be ready to dive right back into again upon picking it back up. One of the reasons I love CL Taylor's Psychological thrillers so much is because they generally have a slightly more domestic setting than other psychological thrillers I have read, meaning that there is a story that I can relate to going on alongside the action. The events take place in a normal household in a normal street or with a normal group of friends and I think because they are so relatable I find them so easy to read. This particular storyline surround a mother and her need to protect her daughter. There are a few issues with her anxiety and a few other issues in her home and work life but aside from that this is essentially what the storyline surrounds. I really liked getting to know the character or Jo, we experience the very first moments that this fear grips her, the need to escape is there right from the beginning and so we get to know what Jo is like and how she handles things very quickly. Husband max and their daughter are also in the action right from the word go and then we have the mystery situation for which Jo is trying to escape. I think Jo is like every other mother but also experiences the anxieties that a lot of us experience whether or not we are mothers and so we get a very clear picture of Jo right from the beginning. A lot of this story is set in Bristol, with escapes to other cities which actually exist. The setting means that the story gets under your skin a lot more easily because we can picture the scenes taking place and imagine them happening just down the street from us, in our neighbourhoods and workplaces. I also loved the link with the title and the need for escape in the book. I loved the way the escape was interpreted throughout the story and without giving any spoilers away, I'm sure you will too. If you're not usually a psychological thriller fan, as I am not normally, then CL Taylor is a great place to start because her novels are so very easy to relate to but at the same time so compelling. I read this basically in one sitting, just like her previous 3 novels, which speaks for itself really. Her writing and her ability to twist and weave plots and characters just astounds me and I highly recommend picking up her latest novel right now! This was an interesting one this week, did I pick short books or amazing books that I've simply not been able to put down? I answered my own question though, by of course chasing a mixture of both. 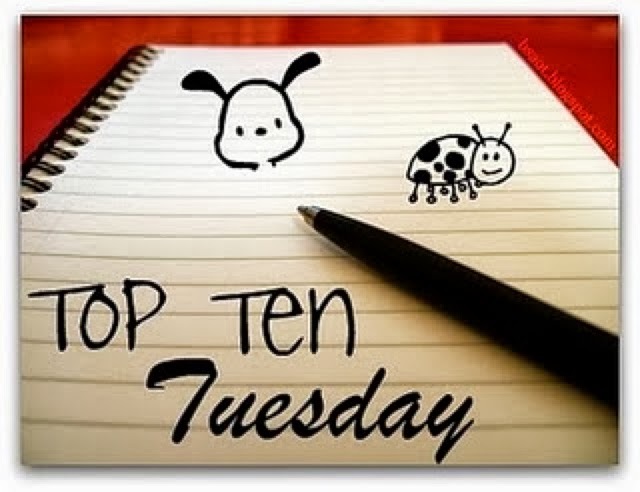 I love a top ten like this and, as always, these are in no particular order! I Hope I've included a nice mixture of genres and themes there for you. I loved all these books and that's why I read them in one sitting but if you would like a similar list of short books that I really enjoyed then please do let me know in the comments and I'll put one together for you! Review: Ok, full disclosure, this wasn't my favourite Liane Moriarty novel. I absolutely flew through her previous novels, most of which I listened to on audio book, waiting in the car for them to finish or staying up late to hear the end of a particular scene but this book took a while to get going for me. 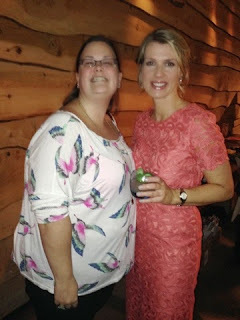 Liane Moriarty's novels are always very character heavy and so it can take a while to understand who is who and how they all relate to each other, but this book seemed to take extra long for that to happen. Once I worked out who all the characters were and what their individual quirks were, it was definitely easier to read/listen to and I really got into the storyline. 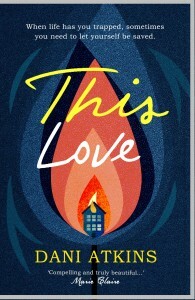 The structure of this book is that there is a neighbourhood BBQ and we know right from the beginning that something happened at this BBQ but we don't really know what or who was involved and so this is where the thriller aspect of this novel, something which is ubiquitous with Liane's writing, really comes in. We have scenes set in present day and we also have flashbacks to the day of the BBQ. I think this may have been slightly easier to follow, had I read the print version of the book and not the audiobook, but sometimes it was hard to adjust back to the current storyline after the BBQ flashback because I had to work out which character's storyline it was. The storylines themselves are all very relevant. People having to struggle with being the second wife, with being a working mum. 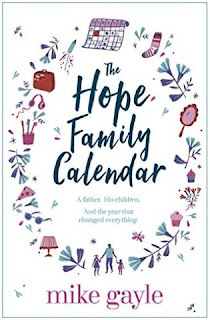 There are story lines dealing with mental health and hording, IVF and pregnancy, and what happens when an elderly neighbour suddenly hasn't been seen. I found all of the plot very interesting and I liked the way it was woven in with this thriller/mystery aspect of what happened at the BBQ, I think the clarity only becomes a little muddy when working out which mummy and daddy were which. I found all of the characters easy to read, once I had worked out who was who and for the second half of the book I was definitely rooting for them all. This author has a skill at spending part of the book portraying a character to be a little spoiled, or a bit of an outsider and then turning a corner and making you really sympathise or empathise with them and you really start to love them where you once hated them. I think my favourite character in this book was Erica. I liked her relationship with Oliver, her husband and I really liked the issues that Erica had to deal with. I think all the characters go on a journey over the course of this book, but I liked Erica's the most. 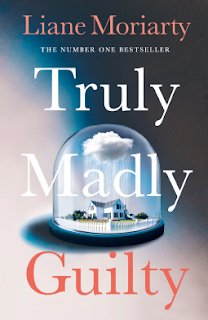 If you are a Liane Moriarty fan then I definitely think you will enjoy this book. If this is going to be your first foray into this author's work then I would recommend picking up one of her other novels before this one as they are a little more fast paced and better reflection of her awesome writing. Not my favourite Liane Moriarty but I definitely enjoyed it from the half way point onwards! To get your copy of this novel and see for yourself, just click here! 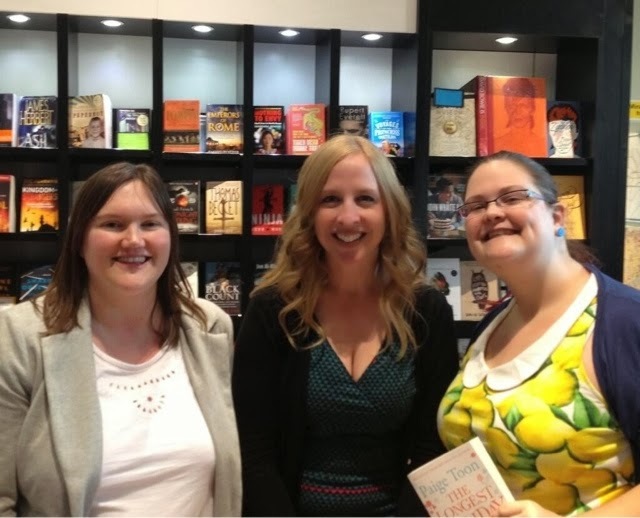 It's time for another blog tour, this time focussing on some exciting new book news! I am so excited to announce the tour for Cards From Khloe's Flower Shop by Isabella Louise Anderson! 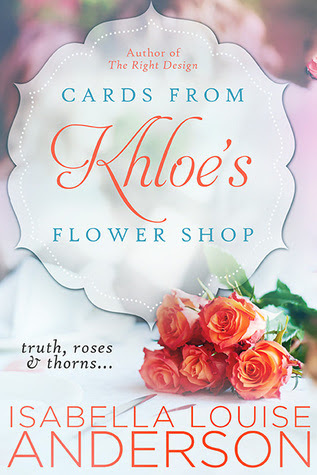 "Cards From Khloe's Flower Shop is perhaps one of the most memorable stories I have ever read. The characters are a huge plus, but the main star was the wisdom hidden within this profound story." "Engaging, heart-warming, and full of romance, this one is bound to please readers." As the owner of a successful florist shop, Khloe Harper trusts her instincts. She has a strong bond with her family and friends, but after being betrayed by her last love, she's kept herself at arms’ length from romance. When dashing entertainment attorney Derek Thomas walks into her store, Khloe’s interest is piqued. What at first seems like a business relationship quickly turns into romance, and Derek slowly plucks away the petals she’s been hiding behind. Just as Khloe lets down her guard, she discovers that Derek may not be worthy of her love after all. A recently widowed senior, Gabby Lewis, isn't ready to give up on love—which means releasing herself from survivor's guilt and taking a chance on finding happiness and companionship again. After signing up for an online dating site for senior citizens, much to her surprise, she’s matched with Harry, an energetic and loving man, who quickly eases himself into her heart. 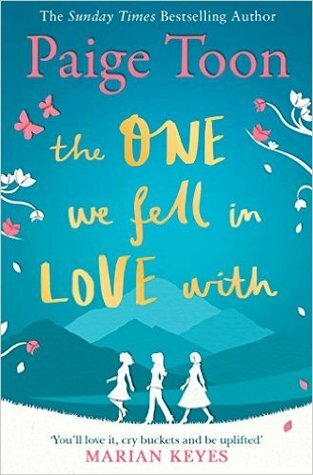 Will Gabby take the leap of falling in love again, knowing it’s possible to have two loves of her life? As each woman’s story develops through flowers and cards sent from Khloe's shop during the Fall months, they begin to learn that love can only truly blossom when you trust your heart. "In Cards From Khloe's Flower Shop, author Isabella Louise Anderson weaves a delightful tale that follows three women's journey of self-discovery and finding an unexpected second chance at love." "Cards From Khloe's Flower Shop is a wonderful novel about finding love and happiness that will leave a smile on your face." Don't forget to visit the other stops on the tour and see the buzz on Twitter and Facebook! Zoe can't wait to meet the park's newest arrival, Tindu the tiger. But Tindu seems sad, and refuses to leave his den. 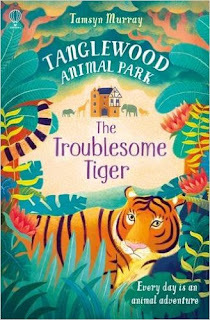 Can Zoe dream up a plan to help Tanglewood's tiger feel happy in his new home? Review: This was just such a good read! This is the second book in the Tanglewood Animal Park series and I wouldn't say that you have to have read the first book in the series to be able to read this one, but its such a good book so I would definitely recommend it! This book sees Zoe and her family welcome a new tiger to the zoo. But fear not, this book is not all about a tiger. We get to revisit the baby zebra from the previous book in the series as well as some of the other favourite animals, the guinea pigs, the meercats and even a new stray cat! What is wonderful about this book is everything I learned from it. I didn't go into this series expecting to take away so many facts from it about wild animals, but when I went to the zoo last week, I was able to see some of the creatures there in a whole new light thanks to Tamsyn Murray's fantastic research! This book is also great because everything is seen through Zoe's eyes so we see the park though her curiosity and it means that it is even easier for the intended audience to identify with her and explore the park the way in which they would see it. Just like the previous book in the series, we also see aspects of Zoe's friendships and also her relationship with her family and the other people who work at the zoo, something for everyone! As an educator, I would definitely recommend adding this book to your classroom, it would be a great book to share with a class or a reading group. 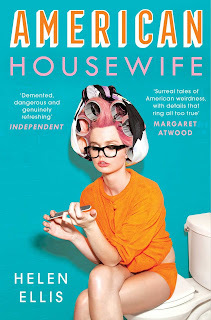 And as a reader, I would definitely recommend adding this book to your TBR now, you will learn lots and it is a highly entertaining read too! Happy Friday! 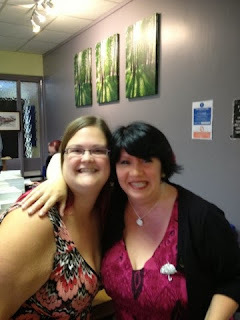 And a very happy four year blogiversary to me! 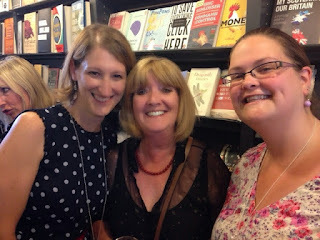 Yes I have been blogging on this site for 4 years today... My very first welcome to my blog post went up on 17th March and then my first review-The Loveliest Chocolate Shop in Paris by Jenny Colgan-went up the day after that-aww happy days! To celebrate my blogiversary I just wanted to let you know about a few changes that I have been making to the blog and Fabulous Book Fiend in general to mark this occasion. How cool is that? The site was actually a valentines present from my lovely husband and I decided I would officially announce it right here on this date! You may also have noticed me sharing lots of videos recently too. Now that I have a little time on my hands I am trying to post videos regularly on my YouTube channel, so if you haven't already subscribed to that then head on over and check that out. I'm also trying much harder with Instagram. I love posting pictures of what I am reading on there and you can expect my feed to be full of books and coffee because those things are just my favourite! You can find me HERE! And if you are ever wondering where I am when I'm not on Twitter, it'll be because I am out and about exploring this country that I now live in and so you can usually catch up with what I am up to on my Snapchat so if you aren't already linked with me on there then feel free! I am SHOEFEIND on there-I know it is the wrong spelling but the right spelling wasn't available, c'est la vie! I feel like last year's blogiversary just passed by in a blur, I was so busy with other things and that's ok because I loved moving forwards in my career but I also love the fact that I have had more time to put the work into this site, discover some amazing books and sharing my enthusiastic teaching style with you on my YouTube channel. If you've been with me from the beginning then thank you from the bottom of my heart, a big shout out to those bloggers and publishers, you know who you are! And if you're new here then welcome! It is so lovely to have you. Please do leave me a comment letting me know some of your favourite posts and moments from the past few years and it would be lovely to connect with you on here, on YouTube, on Twitter, on Instagram or on Snapchat! 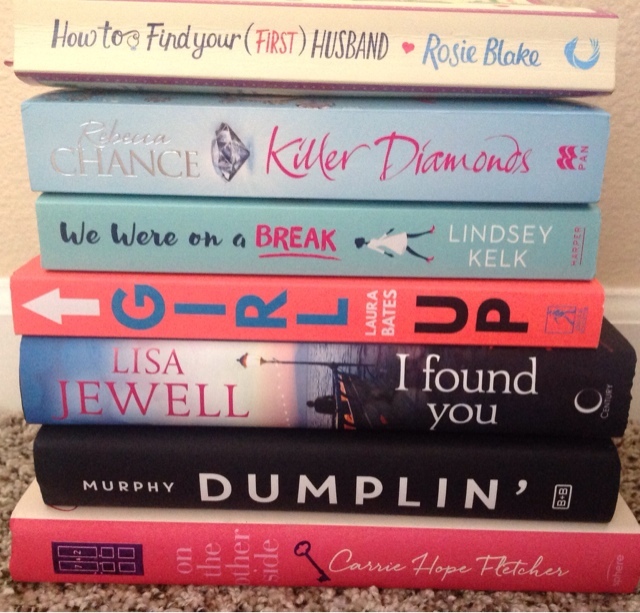 Reading 7 Books in 7 Day-The Results!